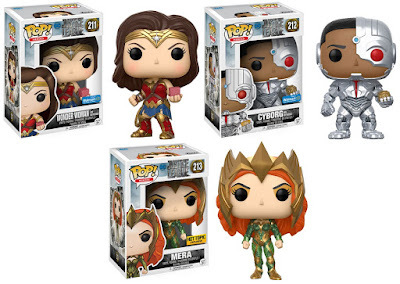 Funko has unveiled its upcoming line-up of retailer exclusive Justice League Movie Pop! DC Comics vinyl figures, which includes a number of really cool variants! 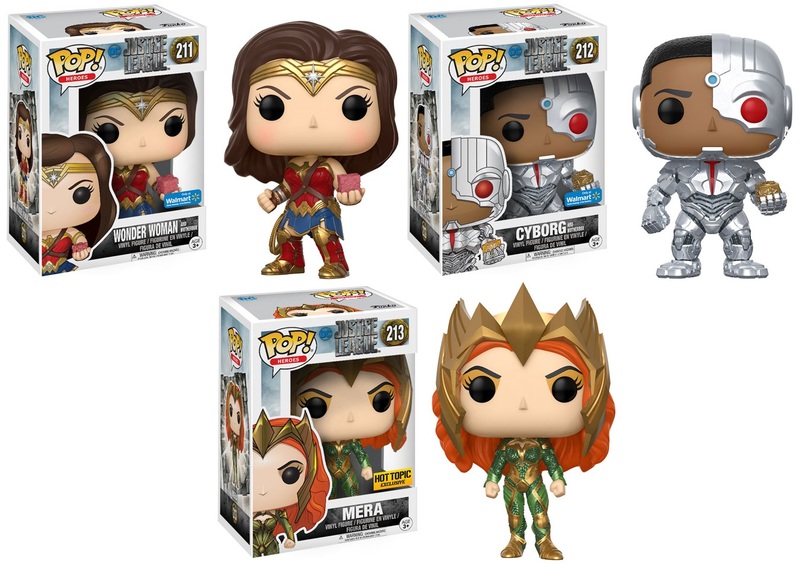 These include Hot Topic Exclusive Mera Pop!, Walmart Exclusive Wonder Woman with Mother Box Pop!, Walmart Exclusive Cyborg with Mother Box Pop! and a FYE Exclusive Batman and Aquaman Pop! 2 Pack. Each retailer exclusive Justice League Movie Pop! DC Comics vinyl figure stands 3.75” tall, features one point of articulation and comes packaged in a full color displayable window box.